HAI VOGLIA DI CANTARE CON NOI? PER PREPARARE L’ ANIMAZIONE DELLE CELEBRAZIONI con gli UNIVERSITARI! APPROFONDIMENTO SU TEMI DI ATTUALITA' E MOMENTI DI CATECHESI. 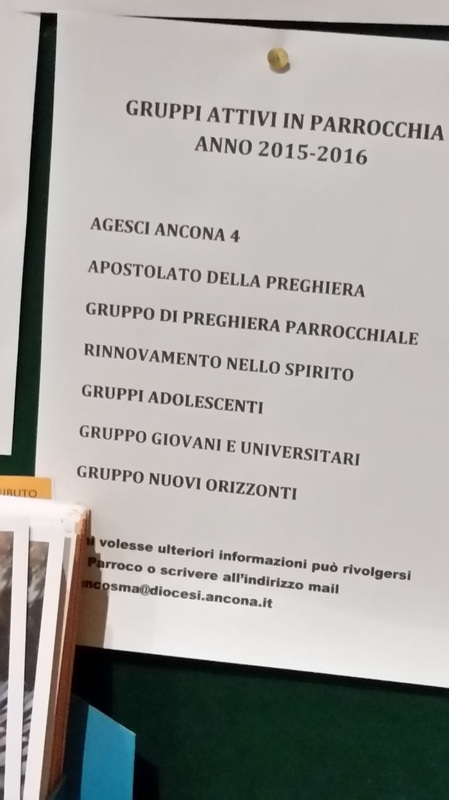 IL GRUPPO GIOVANILE “NUOVI ORIZZONTI” INVITA IN CHIESA I GIOVANI, E CHI SI SENTE GIOVANE, IL PRIMO E TERZO VENERDÌ DEL MESE ALLE 21,15 PER L’ADORAZIONE EUCARISTICA ANIMATA DA CANTI E PREGHIERE.